← How to print MS Office PowerPoint to pdf? The Christmas Day and New Year is coming. Everyone is thinking about what to buy in the “hot” “Christmas Shopping Season”. So what do you want to buy for your work and life in the New Year? 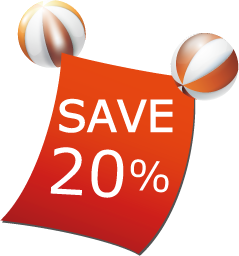 Now there is a promo code for a 20% discount of application PDF to Word Converter. So why not buy a good application as your work assistant. The developers develop the application PDF to Word Converter that is especially for converting pdf to word. This application can extract both text and graphics from the source PDF files in to the new converted files. Meanwhile, it also supports to convert PDF documents to plain text files with removing the graphics in the source files. There is another feature of the application that it supports batch process. You can convert multiple pdf files in one single process fast and easily. With this feature, you need not to open and convert your pdf file one by one manual, which will save much of your time. Besides the batch conversion function with its GUI (Graphic User Interface), VeryPDF PDF to Word Converter provides a console tool that can be sued as MS-DOS command tool. You can also use the console command in a batch script for performing batch process. Of course, as you know, a MS-DOS supported application can support more usage than a GUI only application, e.g., call from another application. The application is powerful and smart, and now you can get it with a promo code for a discount of 20%. For continence, the promo code is embedded in the following link. Just click this LINK and you will directly own the powerful application and save 20% of the price. Do not forget that the promo code is valid only before December 31, 2011 – This is just a gift for the New Year. Do not hesitate, SMASH HERE, and you will own VeryPDF PDF to Word Converter with a price lower than ever before.